We did not sell tomatoes for years, avoiding the frenzied and irrational hustle to produce the first tomatoes in the market. We shun hoop-house culture and we were happy to avoid all the precious heirloom hype. That said, we grew up on home-canned tomato sauce and missed growing a high-quality sauce tomato. 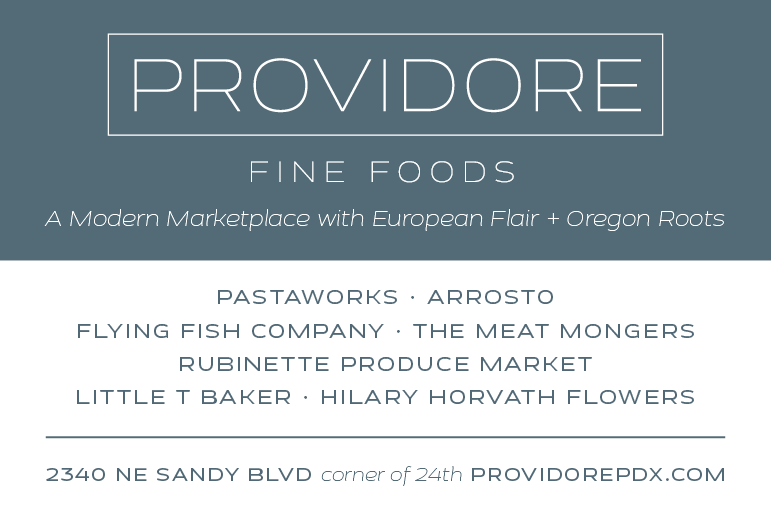 The varieties sold as ‘San Marzano,’ ‘Roma’ and ‘Amish Paste’ are poorly adapted to our latitude and the cool nights that attend the maritime climate of the Pacific Northwest. Ten years ago, we purchased a few tomatoes labeled as local in Asti, a town in the Italian Piedmont that is close to the latitude of our farm. It was mid-October and we saw similar tomatoes in gardens throughout the area. 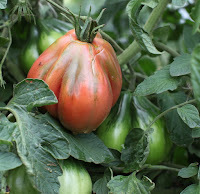 The tomatoes were large at the base and tapered to a narrow top. They were pleated and distinctly green-shouldered. The seed cavities, or locules, were dry and had very few seeds. The skin was thick and the flesh highly acidic. Raw, the tomato was flat and uninteresting. When cooked the flavor opened up and was so outstanding, we reserved the 15 seeds they yielded and brought them home with us. Over time, we adapted this representative of a northern sauce tomato landrace to our farm and customers. The characteristics described above were all important to the quality of the tomato. The large fruit with its hollow cavities meant that it held the field heat accumulated during the day well into our cool nights, extending its ripening hours. The green shoulders are an ancestral trait associated with heightened flavor. The tomato’s lycopene and pectin are concentrated in the skin and the adjacent tissue adhering to it, thus the pleated skin increases the amount of flavorful skin relative to a smooth tomato of the same dimensions. Pectin provides “mouth feel” and softens the acids present in the fruit, but generally get short shrift when we discuss tomato quality. 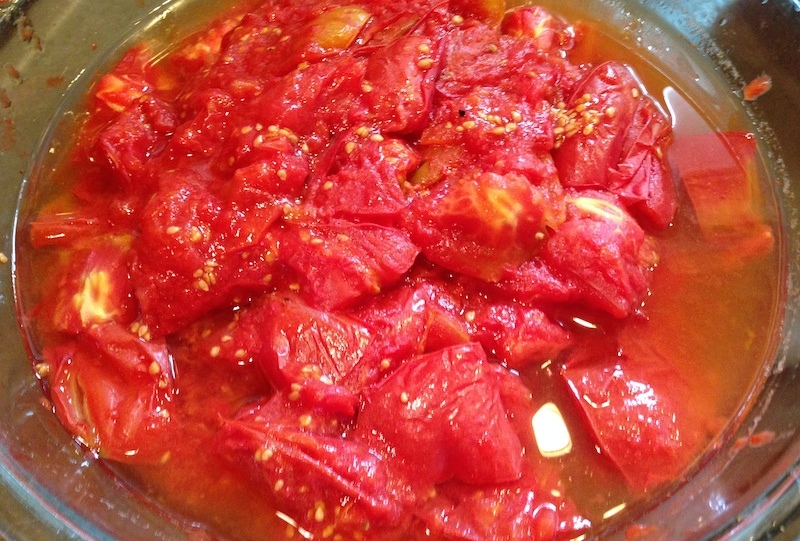 For a sauce tomato, ample acidity is important for flavor and canning. Our selection protocol for the tomato is based on the cooked flavor. For a given vine, if the first one or two fruits fully meet our visual criteria, we harvest and cook them. If the cooked tomato meets our standards for flavor, the seeds are reserved. 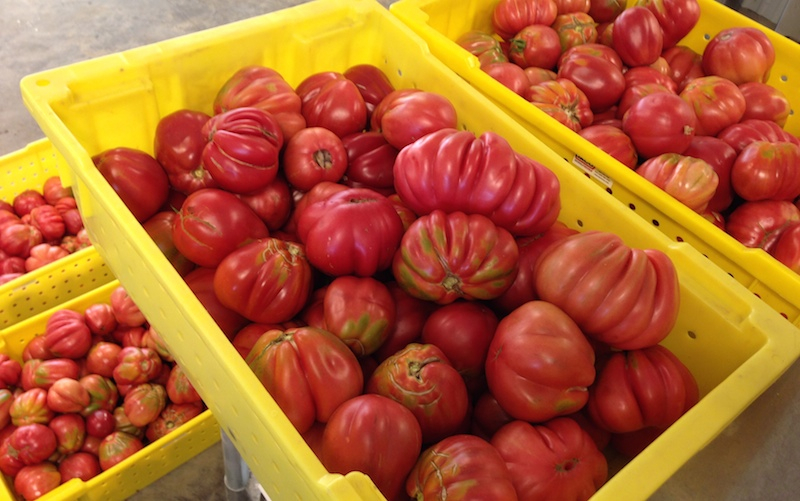 We harvest and sell the tomatoes over a six-week period, starting around Labor Day. Consequently, we select for late fruiting plants, not just early ones. However, we are careful to use only the first ones that ripen on a given plant. Tomatoes are typically self-pollinating, but as the season progresses they will shift to outcrossing, perhaps due to the depletion of trace minerals within the root zone. 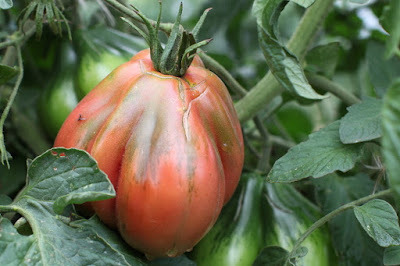 From our observations, tomato fruits that display a sharp increase in seeds are likely outcrossing. The shift from self-pollination to cross-pollination in response to the depletion of copper and boron has been documented in wheat and barley. Even where the outcrossing occurs within the same variety, the genetic reshuffling will produce unpredictable offspring. When growing both a crop for sale and producing seeds for self-pollinating crops, it is tempting to sell the best at market, and harvest seed later assuming that self-pollination is a fixed characteristic. My advice is, don’t. Select for seed first and harvest crops later. If you want to produce seed for snap beans, mark the seed plants and do not touch them until the seed is ripe. If seed production is a lower priority, don’t bother trying. Ten years after purchasing those tomatoes in Asti, sauce tomatoes are another signature crop for our farm. We now sell them as ‘Astianas’, a nod to the market where we encountered them. We sell them in bulk lugs specifically for sauce. Because they ripen during the cool days as autumn hastens, people are more willing to spend the time in the kitchen. Read the other posts in the series. Top photo by Anthony Boutard.